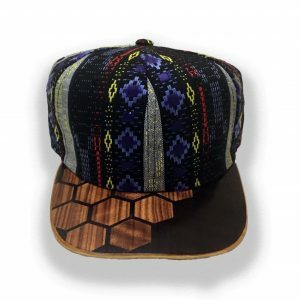 This beautiful Snapback is made from a polyester high quality Suede fabric. 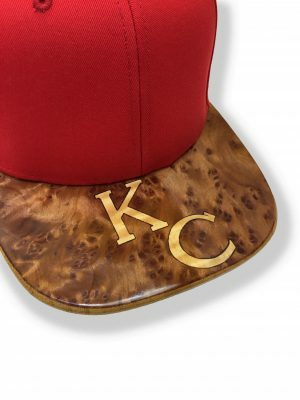 And adorned with an exquisite Walnut and Sapele inlay brim. 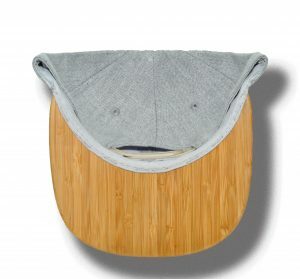 Glued to our solid Bamboo base this hat is sure to last. Perfect for any occasion! Materials : Walnut Burl, Sapele and Bamboo ply One Size fits most! Only 7 will be released in time for the holidays! 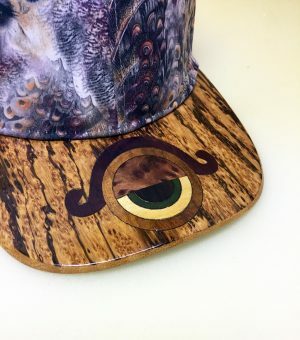 A rich Mahogany engraved with a fantastic reticello Glued and sealed to our signature Bamboo brim faux suede snap back one size fits most! 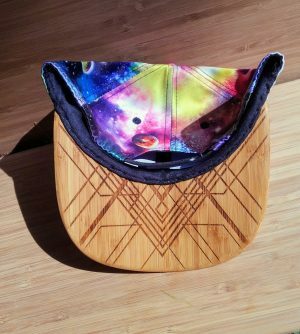 This wood brim hat is made from Sapele and walnut burl inlay placed on top of our signature Bamboo brim 100 percent cotton snap back one size fits all! Operating on another level these hats will be sure and set you apart! Made from Etomie and Fumed Etomie veneer and laser engraved Bamboo Bottom. 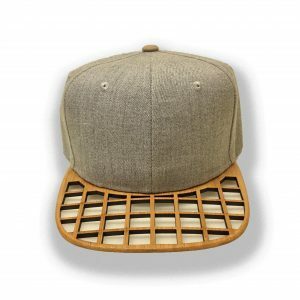 Cotton Snap Back - one size fits all! Buy a Hat, Plant a Tree! 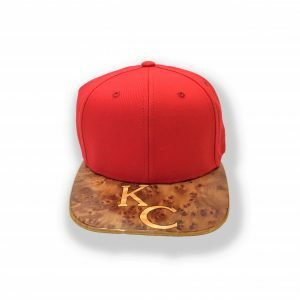 Buzz, Buzz, Bzzzzzzzz These Limited edition brims are sure to stand out among the crowd! 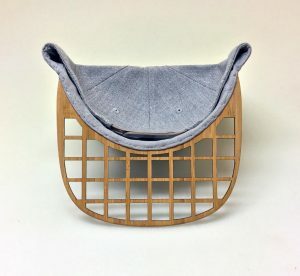 Each brim is carefully crafted with Etomie and Zebrawood veneer and a solid bamboo base. 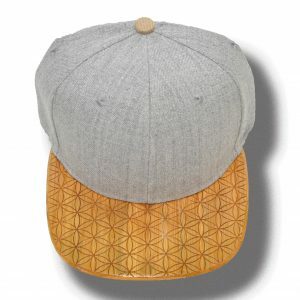 100% cotton snapback- One size fits all! Buy a hat, Plant a Tree! 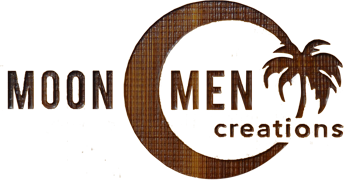 Moon Men Creations is something unique. 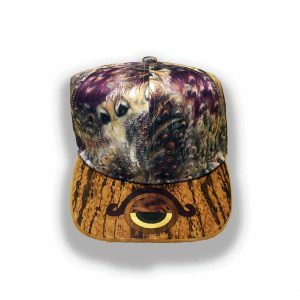 On the surface, we create wood-bill caps with a flair for the unique and bold. 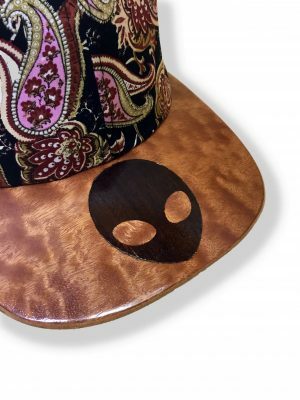 Our style is like no other - and with our hats, you can express your own, individual style. Dig a little deeper and you'll find a crew that is passionate about giving you the very best in quality of product and quality of life.